Our guitar lessons are suitable for all ages young and old! Learn how to play guitar! Learn proper vocal techniques with one of our certified vocal instructors! Brass, Woodwinds, Strings...you name it! We have qualified instructors for nearly every instrument! Interested in teaching? We're looking for quality expert music teachers. Welcome to Lesson Match, the leader in private home music lessons for adults and children. 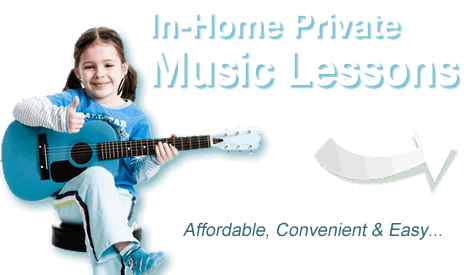 We can provide you or your loved ones with music lessons right in the privacy of your home. Get affordable and convenient guitar, piano and drum lessons when and where you want. Also, you’ll find music instructors who are experts in violin, cello, trombone! Simply complete the form above and you’ve taken the first step to getting your free music lesson.